TRADERS in Srinagar are up in arms against the administration, after the state labour and employment department on November 16 ordered weekly closure of markets on a rotational basis, instead on Sunday. As per the government roster, markets in the city centre would remain closed on Monday. However, the traders have threatened to oppose the move tooth and nail. Kashmir Traders and Manufacturers Federation president Mohammad Yasin Khan said they were living in a conflict zone where markets, especially those in the city centre and downtown, often remained shut due to restrictions either imposed by authorities or shutdown calls given by the separatists. “How can traders of such areas go for another day of closure? The government diktat is illogical,” Khan said. Other trader bodies have also opposed the order, terming it “regressive, unwarranted and unfair”. They have threatened to launch an agitation if the government do not revoke the “one-sided decision”. “There is a set system as per which, schools, colleges and offices are closed on Sundays and so are the markets. Introducing weekly rotational calendar is a futile exercise and will only create confusion,” said one trader. 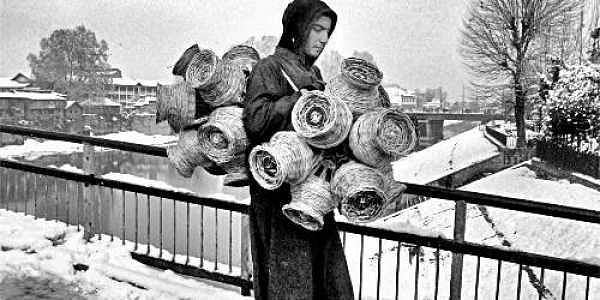 THE WINTER chill, coupled with power shortages in Srinagar, has made the residents fall back on the traditional kangri (firepot)to keep themselves warm. Cold wave conditions have intensified and minimum temperature has dropped below the freezing point. Monday was the coldest night in Srinagar this season, with the minimum temperature recorded at -1.7°C. The weather department has warned of further dip in night temperature due to dry weather conditions. With power outages continuing, people have pulled out woollens and kangris to keep themselves warm. Non-metered areas in Srinagar are already facing over 50-hour power cuts a week, people fear there would be more. A treasure trove of priceless books are on display at the World Heritage Week, which started on November 19. According to the organisers, some “rarest of rare” books are being showcased at the reading centre in the Rajouri Kadal area of downtown Srinagar. Some of the books in Sanskrit, Persian and Kashmiri languages are about 700 years old. A handwritten copy of the Holy Quran, the Bhagvad Geeta and an encyclopedia of all living creatures in papier-mâché are among the books on display. Some history books on Kashmir written on cloth, and Hakim Luqman’s book, which includes his 100 advises to his son, have also been showcased. These “rarest of rare” books are turning out to be a major draw as more and more people are visiting the venue to see them. made of wood, was saved from being gutted after some daredevil firefighters, led by one Ghulam Hassan Wani, stepped in to extinguish the fire. The shrine’s interior has exquisite woodcarvings and papier-mâché artwork. The Khanqah-e-Moulah shrine, located on the banks of river Jhelum, was built in 1395. The author is the correspondent of the New Indian Express in Jammu and Kashmir.